We have curated the most popular and helpful white papers and case studies for you. Please check back often as we are constantly adding new white papers to this section. Small businesses face the challenge of keeping overhead low. But just because you don’t have thousands or even hundreds of vehicles to manage, that doesn’t mean that getting the most data for your fleet won’t help your bottom line. 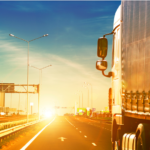 Get a solid understand of the new Federal Motor Carrier Safety Administration’s (FMCSA) final ruling requiring the use of electronic logging devices (ELDs) for the commercial truck and bus industries & how it impacts your business. Connected Vehicles provides you with detailed visibility into the on-road performance and activities of drivers and vehicles in real-time. Track vehicles on a map, re-create previous trips history, and view dashboard reports. Cyber security threats and privacy concerns are emerging as key issues for the transportation industry as well. We try to put the issues into context, point out risks and opportunities & calls for next steps. 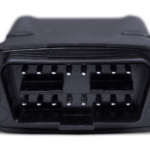 This whitepaper outlines some of the design requirements and features of the Geotab device that provide increased efficiency in vehicle fleet management, and importantly, advance the safety of fleet vehicle operation. Check it out. 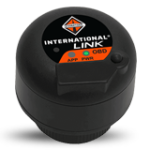 International Truck’s Over The Air programming allows 2-way communication with the engine over a secure secure wireless connection. Your trucks run the most up-to-date engine calibrations. All without a service visit. 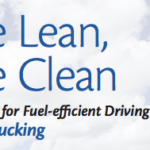 Best Practices for Fuel-efficient Driving from Natural Resources Canada. This guide shares some actions we can take to reduce fuel consumption, related greenhouse gas emissions (GHGs) and costs and to increase road safety. Optimized maintenance to ensure peak performance for your fleet. 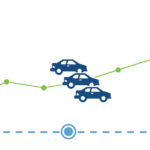 Connected Vehicles solutions can help you track, measure and act on metrics that are important to you. Identify small problems before they become big ones. 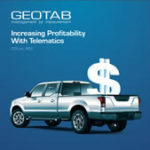 Find new cost savings and increase profit with telematics. 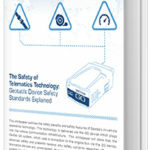 Read our new white paper to learn more. 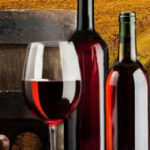 Southern Wine & Spirits of America, Inc. (Southern) faces the challenge of safely & productively managing its drivers and fleet vehicles. 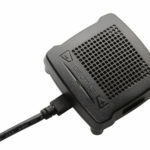 The GO TALK provides real-time feedback to drivers about their safety and performance on the road. Improve bad driving habits while forming good ones without overbearing intervention.